Silica Sleeves are primarily used as the thermal protection of circular items, these sleeves can be applied in aerospace (gas turbine and rocket engines), metallurgical, nuclear power, electricity generation, petrochemical industries, etc. for example, tube seals, high temperature gaskets, heaters, reformers, turbine exhaust, boilers, thermocouple wire, etc. Supporting continuous operating temperatures of 2300°F (1260°C) with peak temperatures to 3000°F (1650°C), extremely flexible silica sleeves will resist molten metal splashing, welding splatter, direct flame impact and are resistant to thermal shock. Besides these excellent qualities, Silica Sleeves are highly resistant to corrosion and deterioration caused by chemicals, have good electrical insulation capabilities and remain flexible and drapable at high temperatures. Silica Tape Supports continuous operating temperatures of 2300°F (1260°C) with peak temperatures to 3000°F (1650°C), extremely flexible silica tape will resist molten metal splashing, welding splatter, direct flame impact and are resistant to thermal shock. 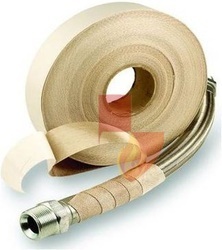 Besides these excellent qualities, the pressure sensitive adhesive backing that facilitates installation & decomposes at high temperatures, leaving a perfectly tape-wrapped hose, cable or pipe. and also provides energy savings and personnel protection . 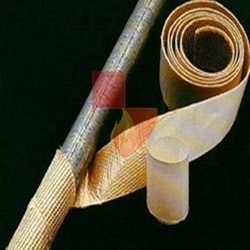 Silica Fiber Tapes are highly used in the iron metallurgy industry, industrial furnaces, electric ovens, boilers, stoves, chimneys, gaskets, sealing joints, industrial insulation, various uses at high temperatures insulation, refractory paddings, gaskets and blankets, protection from flame, splashes of molten metal, excessive heat, compensators. Supporting continuous operating temperatures of 2300°F (1260°C) with peak temperatures to 3000°F (1650°C), extremely flexible Silica Cloth will resist molten metal splashing, welding splatter, direct flame impact and are resistant to thermal shock. 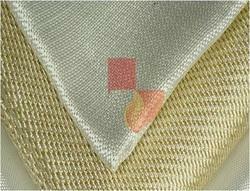 Besides these excellent qualities, Silica Fabrics are highly resistant to corrosion and deterioration caused by chemicals, have good electrical insulation capabilities and remain flexible and drapable at high temperatures.Silica Fiber Products are highly used in the iron metallurgy industry, industrial furnaces, electric ovens, boilers, stoves, chimneys, gaskets, sealing joints, industrial insulation, various uses at high temperatures insulation, refractory paddings, gaskets and blankets, protection from flame, splashes of molten metal, excessive heat, compensators. Silica Tapes with Self Adhesive Backing with Pressure Sensitive Adhesive Supports continuous operating temperatures of 2300°F (1260°C) with peak temperatures to 3000°F (1650°C), extremely flexible silica tape will resist molten metal splashing, welding splatter, direct flame impact and are resistant to thermal shock. Besides these excellent qualities, the pressure sensitive adhesive backing that facilitates installation & decomposes at high temperatures, leaving a perfectly tape-wrapped hose, cable or pipe. and also provides energy savings and personnel protection . 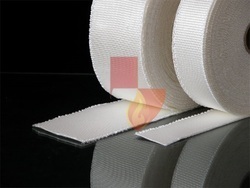 Silica Fiber Tapes are highly used in the iron metallurgy industry, industrial furnaces, electric ovens, boilers, stoves, chimneys, gaskets, sealing joints, industrial insulation, various uses at high temperatures insulation, refractory paddings, gaskets and blankets, protection from flame, splashes of molten metal, excessive heat, compensators. 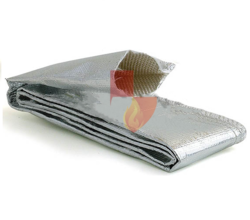 Aluminized Silica Sleeve will reflect up to 95% of heat, with no organic flame contribution and provides a tough, impermeable, heat reflective coating that allows the silica fabric to be used in a variety of demanding applications Aluminized Silica Sleeve is specifically designed for protective apparel and shields used in environments that pose serious fire risk or safety hazards associated with hot works or radiant heat sources. The base silica fabric will supporting continuous operating temperatures of 2300°F (1260°C) with peak temperatures to 3000°F (1650°C). Although the aluminum layer is considered to be sacrificial at temperatures above 600°C the aluminum will withstand continuous operating temperatures in the 315°C range with no significant degradation. However, long term exposure at temperatures above 315°c will ultimately degrade the adhesive used to laminate the aluminum to the cloth substrate. Aluminized Silica Fabric reflects up to 95% of heat, with no organic flame contribution and provides a tough, impermeable, heat reflective coating that allows the silica fabric to be used in a variety of demanding applications Aluminized Silica fabric is specifically designed for protective apparel and shields used in environments that pose serious fire risk or safety hazards associated with hot works or radiant heat sources. The base silica fabric will supporting continuous operating temperatures of 2300°F (1260°C) with peak temperatures to 3000°F (1650°C). Although the aluminum layer is considered to be sacrificial at temperatures above 600°C the aluminum will withstand continuous operating temperatures in the 315°C range with no significant degradation. 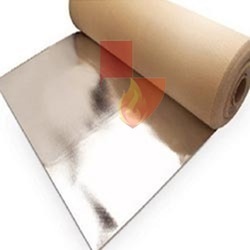 However, long term exposure at temperatures above 315°c will ultimately degrade the adhesive used to laminate the aluminum to the cloth substrate. Vermiculite Coated Silica Tape with Pressure Sensitive Adhesive is specially constructed to increase resistance to sparks, splatter and molten metal to high temperatures that retains a flexible quality that is portable, versatile and easy to use. They Support continuous operating temperatures of 1400°C with peak temperatures to 1850°C. 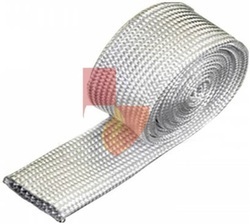 The vermiculite treatment gives the cloth added abrasion resistance, besides these excellent qualities, the pressure sensitive adhesive backing that facilitates installation & decomposes at high temperatures, leaving a perfectly tape-wrapped hose, cable or pipe. and also provides energy savings and personnel protection . 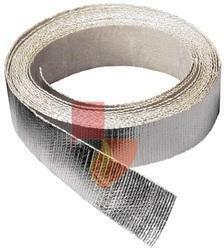 Aluminium Silica Tape offered comes filled using high-performance acrylic pressure sensitive adhesive. 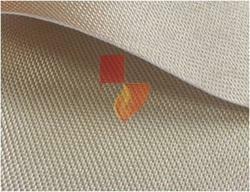 Smart Shield Silica Fabric is specifically developed to give a drapeable and flexible product which will offer excellent high temperature protection. 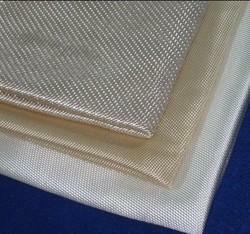 Our high temperature silica fabrics offer superb resistance to molten metal spatter, welding slag, welding sparks, etc. for hot work protection. Ideal for cutting operations and heavy duty insulation protection. Due to the manufacturing process, our silica insulation provide improved abrasion resistance (as they have a special proprietary abrasion resistant finish). Silica insulation offer very good flame resistance, low heat capacity and low thermal conductivity. Our silica insulation provide optimum performance and offer superior protection in critical high temperature safety environments. Looking for Silica Fiber Products ?